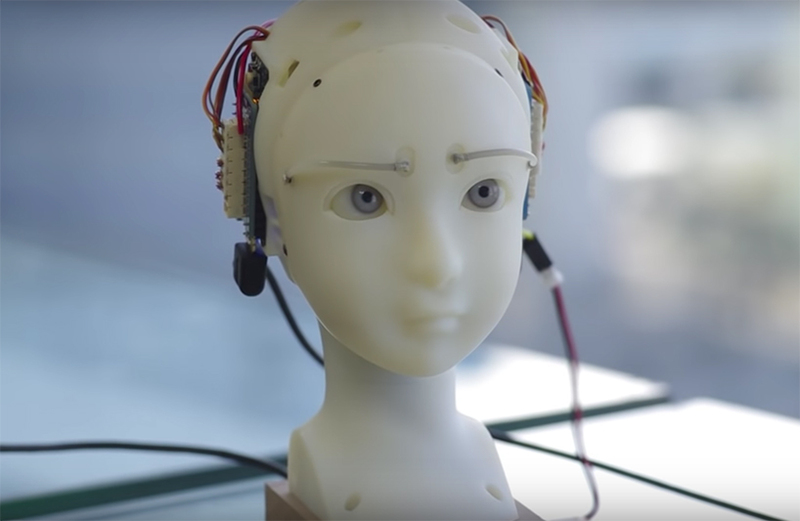 SIGGRAPH’s attendees in vancouver had the chance to interact with one of the most expressive robots we have ever seen. 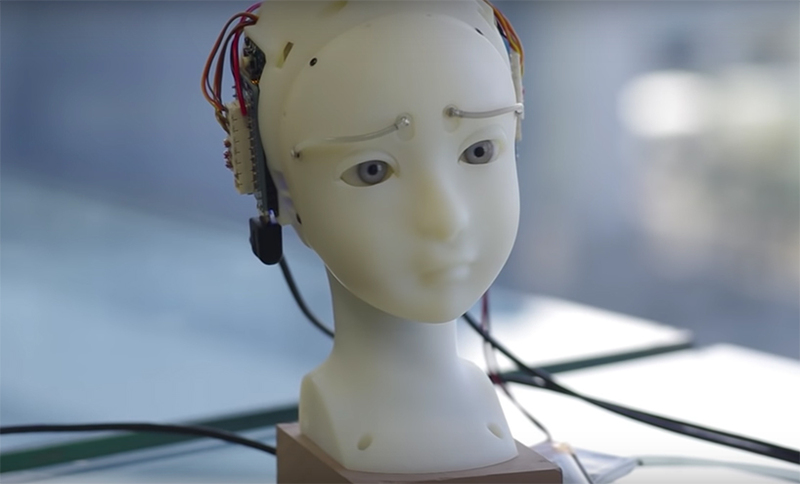 dubbed SEER: simulative emotional expression robot, the humanoid head was created by japanese artist takayuki todo and it can either make eternal eye contact with you or imitate your expressions. 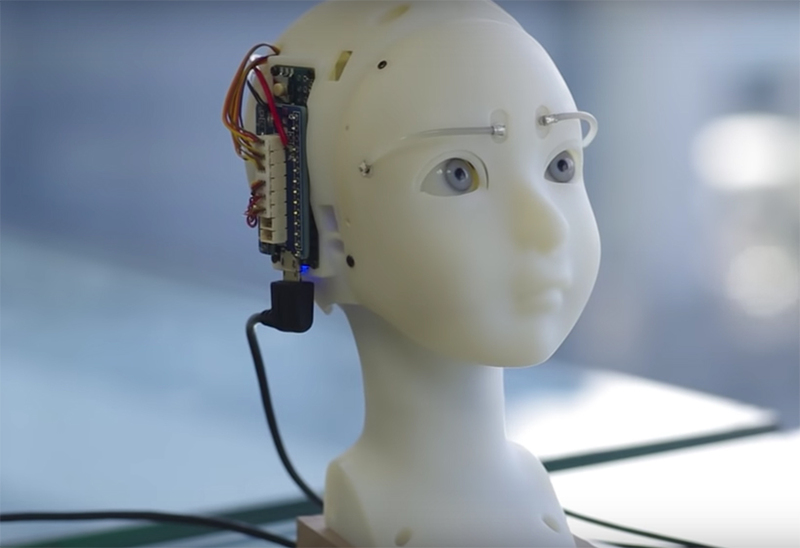 with its cute face, this robot seems to be generating empathy with the public instead of pushing them away. 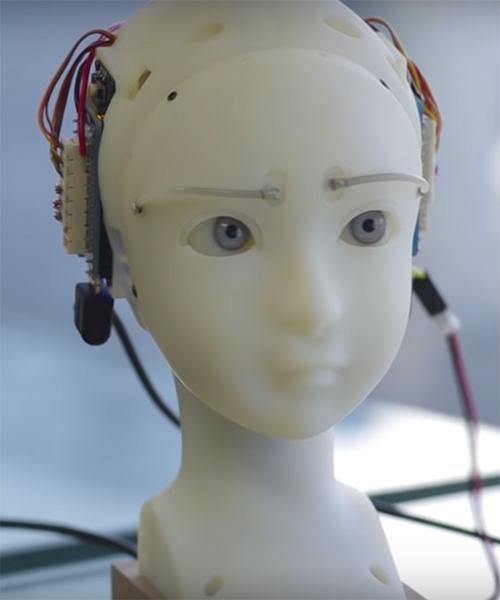 when in imitative mode, SEER accommodates its eyebrows, eyelids and position of its head to mimic the viewer. with its realistic eyes and its delicate, neutral sculpting, its facial expressions appear almost human. 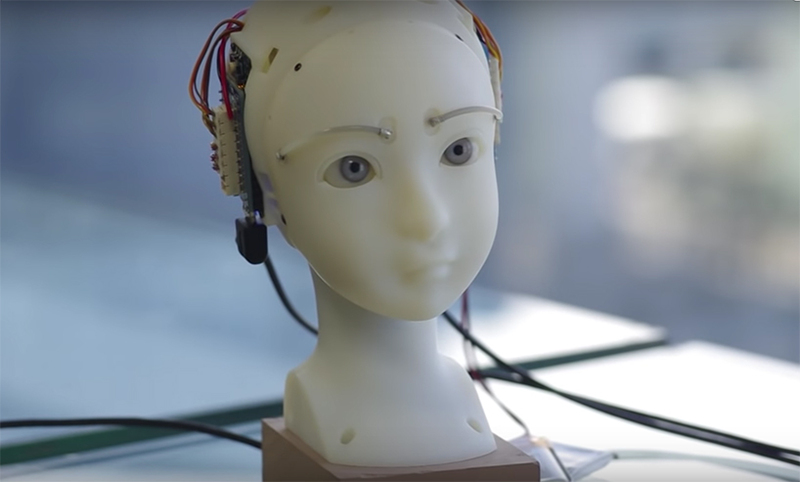 as for the eye contact mode, the robot follows your eyes around, making uninterrupted contact. 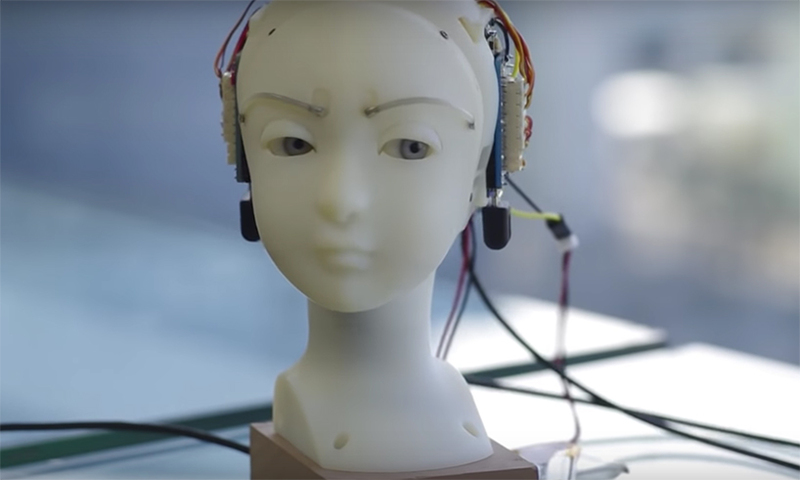 ‘if an amazon echo had those eyes, you’d never forget it was listening to everything you say. you might even tell it your problems,’ comments techcrunch. Already VR bots two generations better – check out SL Bento. Soon, you will not need imaginary friends and those that don’t like people will have something to talk to. I think it great, but a little scary at first. Notice how much expression you get without the mouth/cheeks/etc. Maybe that is why some Islamic women can still be very alluring with the majority of their bodies covered.